Coxhoe’s Post Office is located in Londis Coxhoe Discount Store located in The Avenue not far from the traffic lights at the crossroads. The Post Office moved to its current location from Church street in 2014. 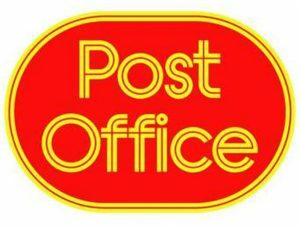 The Post Office offer an ‘open plan’ facility and pride themselves in providing a professional post office counter service. Other that the natural postal services you can pay bills such as gas and electricity, get your car tax and buy cards for all occasions. There is also a cash machine and an in house cash service so you can access your bank accounts to get cash and discount convenience store which can serve your daily food and drink needs. Visit the store for a wide range of everyday products including fresh items, beers, wines and spirirs, groceries and lots more. Check inside for Post Office opening hours.